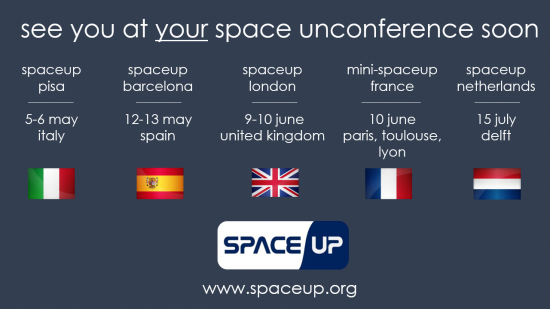 Can’t find a SpaceUp near you yet? Start your own SpaceUp! Also, please, visit the official SpaceUp Leicester site for the scheduling and registration.